Painting is by far one of our most favourite art activities. I love the freedom that it provides our children. I love to watch their eyes as they select a colour from the palette. I love to watch their little hands move the brush across the paper. I love the grace and fluidity of the colours mixing before them. I love the creative expression that pours out from their hearts and minds. I love listening to their conversation as they work side by side. I love the beautiful mess! In our home we do not have a homeschool room. You will not find a designated studio in which we create. And I am still working at assigning specific ‘corners’ of our home for different elements of learning (e.g. writing, mathematics, the arts, etc.). 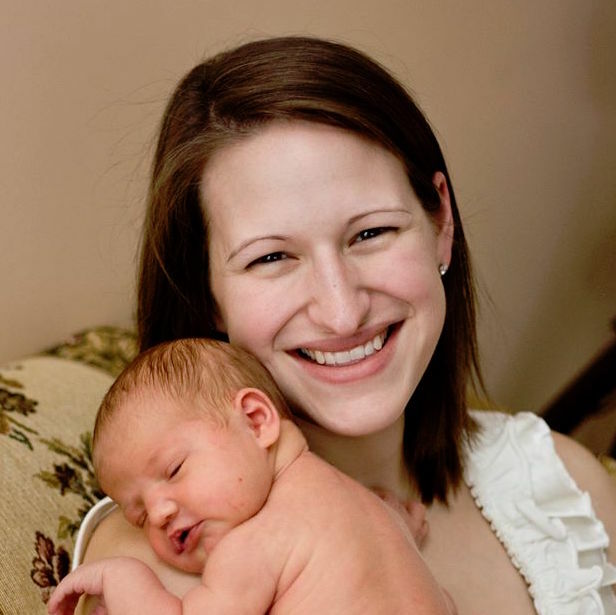 In essence, our entire home is our classroom, and I truly love it that way. 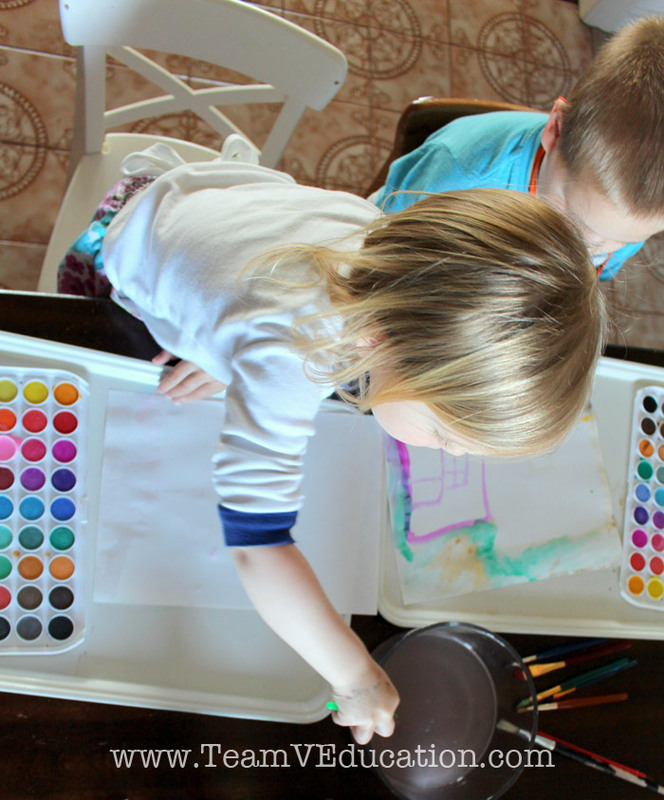 So with our dining room table as our art space, how do we prepare for a successful painting session that provides enough freedom for our children to express their creativity, while ensuring a relatively easy clean up? 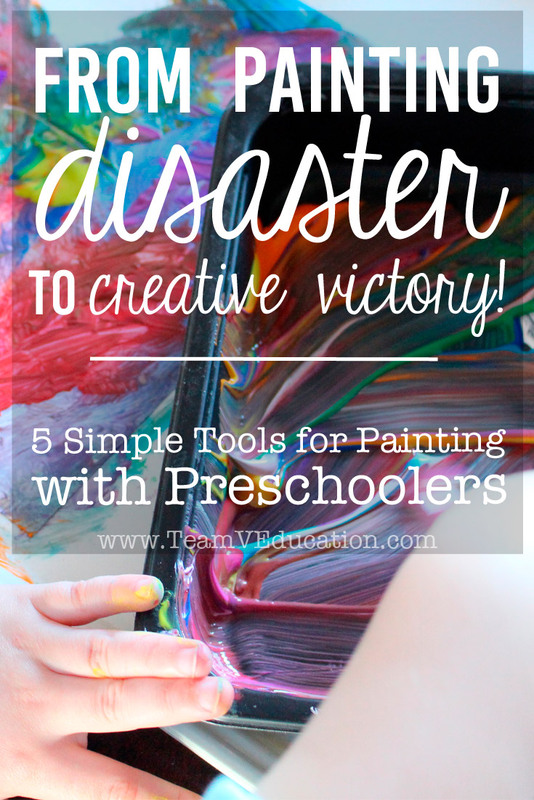 I have identified five key elements that transform painting with preschoolers and kindergarteners from disaster to creative victory! By implementing the ideas below, I expect that you too will enjoy painting as much as we do. 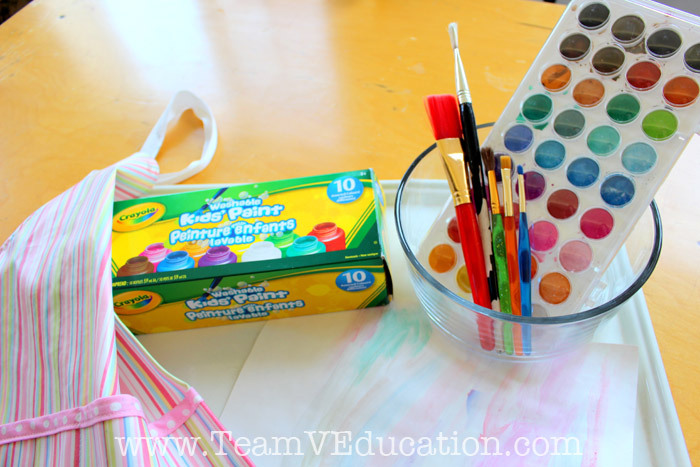 Allow your preschooler or kindergartener to select several brushes to use throughout their painting session. For beginners, the dollar store is a great place to find brushes in varying styles. 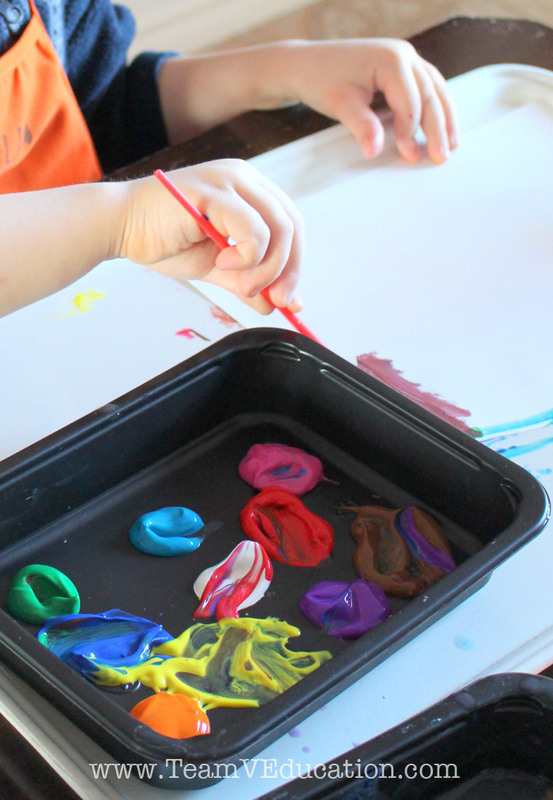 Both watercolour paint trays and liquid paints such as Crayola washable kids’ paint are fantastic options for young children. We will be adding more materials to our collection over this next year; however, these two items have served us very well. Note: With liquid paints, I like to provide a little dollop of each colour on a small plastic tray. This allows our children to mix colours as they wish, without tainting the colour within the container. This is the key!! A tray gives each child his or her own working area. It keeps the creative mess contained as well as any potential water spills. I found our trays in the discount section of our nearby IKEA. They are old food court trays. We also have a couple of these trays from IKEA, which are also great. Stop using a cup of water for rinsing your brushes! Instead, find a small shallow pot or bowl to use for rinsing water. We have had zero spills since adopting this new idea. 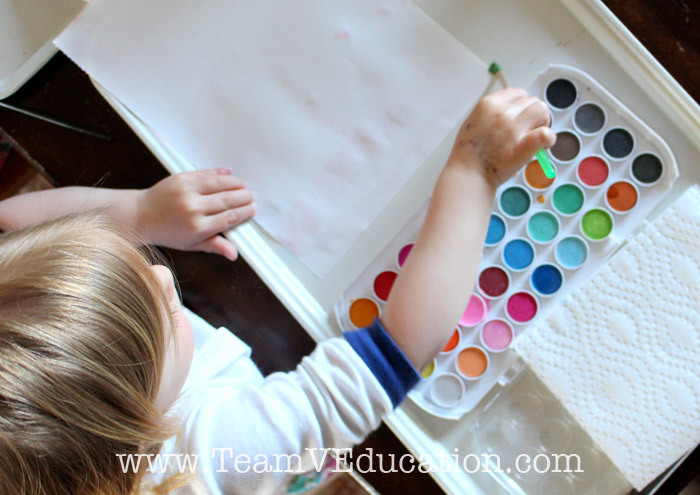 If you have ever painted with little ones, you know that they can be heavy on the paint and water. Invest in a heavier type of paper that allows them to paint without tearing holes in their artwork. Even a good quality sketchbook with perforated pages that you can tear out as needed is better than computer paper. Save the clothes. Wear an apron! That’s it! 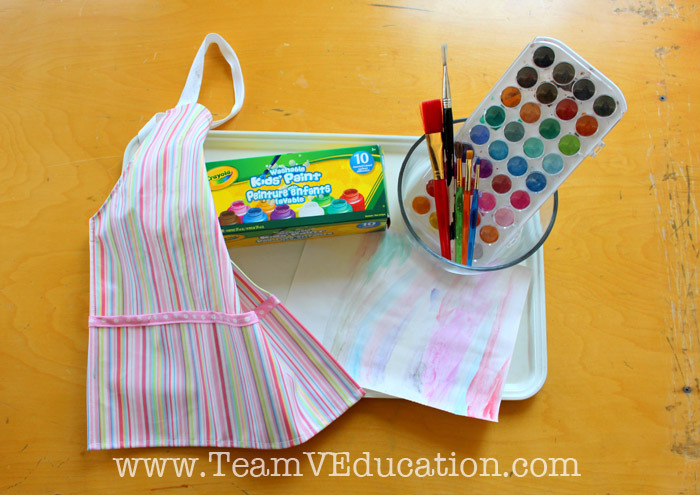 Five simple tools: paint/brushes, tray, shallow bowl, high quality paper, and a painting smock. You are now ready to embrace a creative mess! When your painting session is over, set the artwork aside to dry, load up the tray with all of the messy supplies and quickly rinse everything off in the sink. With some direction and training, your children will be able to set up their own workspace, and even tidy up on their own (although, I like to do the final rinse down on my own). Now it’s your turn – do you have any favourite tips or tricks for painting with young children? Perhaps you have a great disaster story that you would love to share! I would love to hear from you. I always lined the painting area with newspaper. When done, fold it up and recycle the mess. My old t-shirts made great full body smocks. Egg cartons help to keep colors, glitter, craft pieces and beads organized. What a great idea with the newspaper! I’ve been meaning to turn some old t-shirts into painting smocks – cut down the back with a little velcro to hold it on (so that I don’t have to pull a messy smock over their heads! ).